RewardExpert identifies the top 30 midsize U.S. cities for meetings and conventions that won’t break your business budget, and also provide the same level of enjoyment that more expensive cities offer. RewardExpert identified 30 midsize cities that won’t break your budget and still provide comparable levels of enjoyment to what more expensive cities have to offer. We analyzed 20 indicators broken down into seven overarching categories: affordability; climate commute; business atmosphere; events; accommodation and dining; and finally safety Naturally, these factors played a smaller role than affordability and cost of living relative to other cities in each region. Most of the cities that rank high on our list are close enough to major cities that they are well within the metropolitan area anchored by their larger, more expensive, neighbors, and this makes these cities easily accessible for your guests from further afield. The cities we have selected are not only ideally suited to host your next business event, but also include incredible entertainment and sightseeing opportunities at budget-friendly prices. 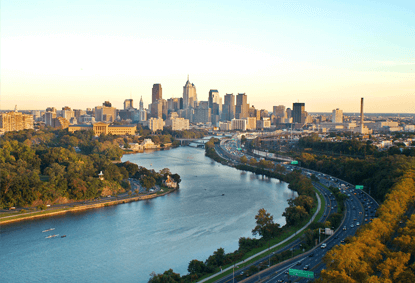 Located in the New-York-Newark-Jersey-City Metropolitan Area, along Amtrak’s Northeast Corridor, Edison is a natural choice for first place in the region. Not only does it rank very highly in terms of affordability, it also rates highly in every other metric we considered. Edison was ranked the 28th most livable small city in the United States by CNN. The city has a favorable business climate, and in 2017 posted a 2.42% rate of job growth, with 33.33% of the local population employed in business and management. The most affordable city in the northeast region, Allentown ranks second on our list. 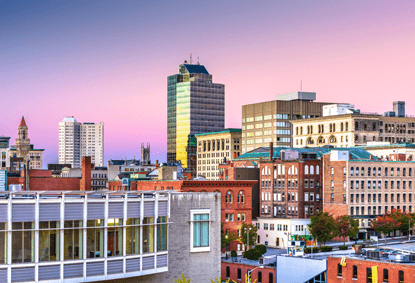 Allentown is the third most populous city in Pennsylvania, and it was cited as a “national success story” in 2016 by the Urban Land Institute for the redevelopment and transformation in its downtown area. 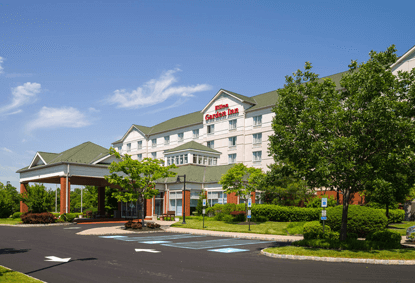 The largest city in Lehigh Valley, now boasting a recently redeveloped, attractive downtown area, the city of Allentown is a perfect location for an affordable business trip. Founded early in 1636, Providence is third on our list for the Northeastern region. Providence is the third most affordable city in this region. Home to seven institutions of higher learning, the city has a well educated population. 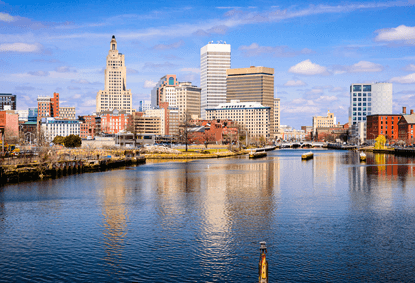 Although the city had gone through a long and painful period of industrial decline, today Providence is once again a thriving city, with a carefully planned downtown area, numerous art venues, and many more amenities. 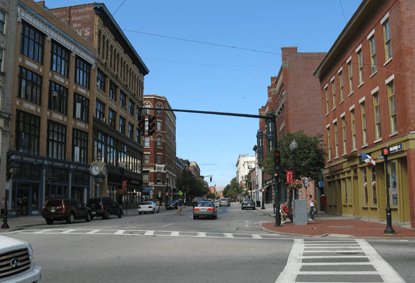 Located in the Boston metropolitan area, Lowell’s low cost of living makes it an attractive alternative to the expensive urban core for business meetings and events in this area. Lowell ranked third in terms of business atmosphere in the region, with 44.13% of the population working in the business management sector. The city also boasts and outstanding art and culture scene that will keep clients and employees engaged during their visit. Worcester is the second largest city in Massachusetts, the economic and business hub of central Massachusetts. A diverse city with active research, manufacturing, and technology sectors, Worcester is a natural choice for business meetings. Over 30,000 students at more than a dozen area colleges help to make it a culturally vibrant city, featuring many exciting college town amenities like museums, concert halls, theaters and galleries. 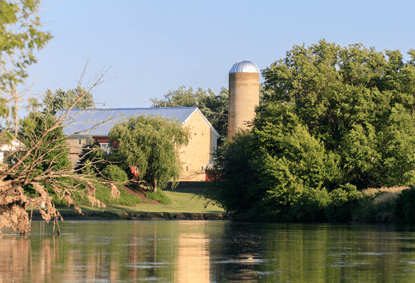 Close to Chicago, Elgin is the most cost-efficient business meeting destination in the Midwest. Due to its proximity to Chicago, the city is very accessible to visitors from all parts of the nation. Elgin has a wonderful atmosphere for the arts and cultural activities, with a strong base of organizations and individual artists. There are also numerous activities such as golf courses, wintertime skiing and ice skating, available at locations within one hour drive from the city, making it a breeze to arrange after-meeting activities. Our second winner, Naperville, is virtually around the corner from first-ranked Elgin. Naperville is consistently rated a top community in the nation in which to live, as well as one of the nation’s safest cities. The city was also awarded as one of the wealthiest cities in the midwest by Portfolio.com while it is the fifth most affordable midsize city in this region. 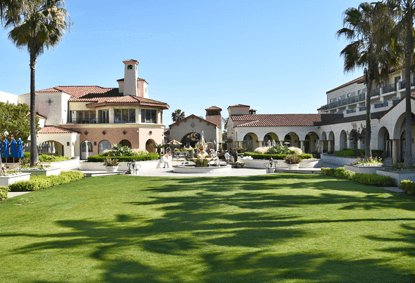 Additionally, It ranks seventh in terms of the numbers of bars, restaurants and hotels in this region, giving visitors plenty of options for dining and accommodations. 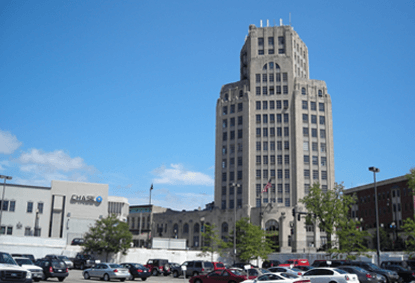 Located in the Detroit Metropolitan Area, Warren is home to a variety of businesses, including General Motors Technical Center. As the third largest city in Michigan, Warren has a lot to offer when it comes to both business and leisure amenities. 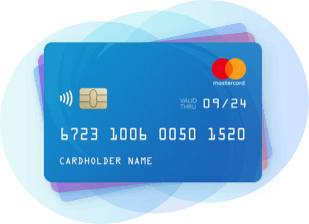 It ranks second in terms of the number of events listed on Eventbrite and third in terms of the numbers of restaurants, bars and hotels on Yelp. For many reasons, Toledo is a perfect city for business meetings. 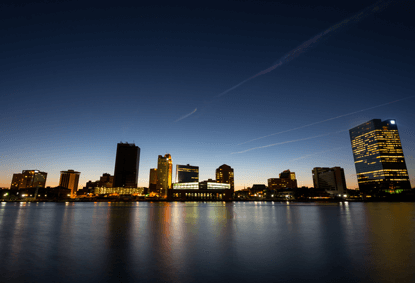 The second most affordable midsize city in this region, Toledo ranks fourth for the number of events in the area and tenth for the presence of restaurants, bars and hotels. It enjoys a strategic central location along major east-west and north-south highway (Interstates 75 and 80), freight and passenger rail routes (including Amtrak’s Lakeshore Limited and Capitol Limited routes to/from Chicago, New York, Boston, and Washington, DC), and is nestled between other major metropolitan areas and media markets. In fact, it is a popular place of residence for people who frequently travel on business to other parts of the Midwest, and beyond. 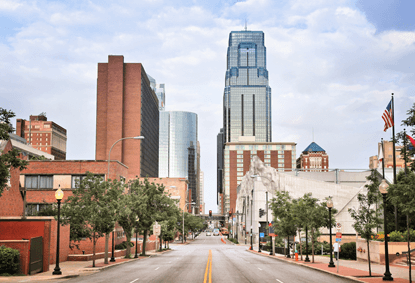 Ranked as the third most affordable midsize city in this region, Kansas City is also a large, prosperous, self-sufficient, and culturally rich city. The city is centrally located in relation to other domestic markets, and stands out for its favorable business atmosphere. The city’s attractive downtown area, containing many museums and architectural attractions, makes it a destination for tourists and families as much as for those in town on business. Kansas City has the additional advantage of having a pleasant climate, ranking the fifth in the climate index. A major suburb of Phoenix, Peoria ranks among the top ten in many of our metrics. It is the most affordable midsize city in this region. It also ranks sixth for climate, fourth for the number of events available to visitors, and sixth for the number of restaurants, bars and hotels. The city also has many outdoor activities to offer such as horse riding, hiking, biking and water activities, making it easy to arrange exciting excursions for your team. A part of the Denver-Aurora-Lakewood Metropolitan Area, Arvada comes in at second on our list. 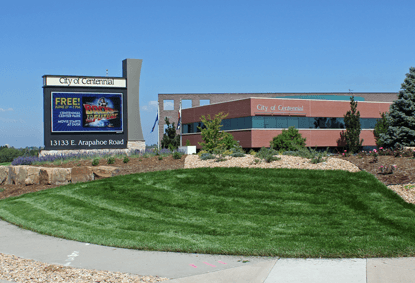 Largely a bedroom community for workers commuting to jobs in Denver and Boulder, Arvada boasts of having a lot of restaurants, nearby shopping places, performing arts theatre and entertainment centers. The city ranks the seventh for the number of events listed on Eventbrite, seventh for the number of restaurants, bars and hotels listed on Yelp, and fifth for commute time and convenience. Chandler is the third most cost-efficient city in this region. 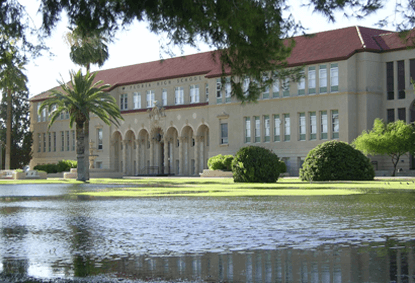 It is a city with rich cultural assets, including the Chandler Center for the Arts, where a 1,500-seat performing arts theater regularly hosts ballets and other performing arts shows. 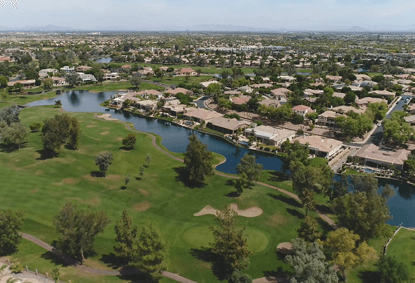 Chandler ranks the third for its business atmosphere, 4th for its affordability and 8th for the numbers of dining, drinking and shopping venues. The city is also attractive for its climate, with 297 sunny days in a year. Reno bills itself as “Biggest Little City in the World”. 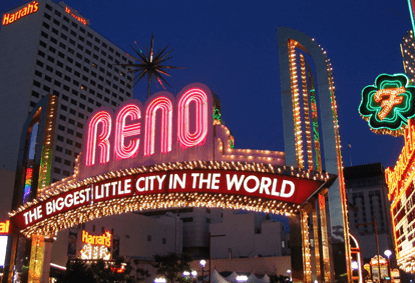 For those looking for a destination with rich after-meeting activities and events, Reno, which ranks first in terms of the number of various events on Eventbrite, is definitely one that you should consider. After all, it is the safest midsize city in this region. The city’s attractive downtown area with modern commercial buildings and entertainment venues makes it a good choice for business meeting destination. Located in the broader Denver Metro area, Centennial comes in at fifth on our list. Centennial is a relatively young city, incorporated in February 2001, which offers a variety of shops, boutiques and restaurants. It is also famous for having rich outdoor activities such as skiing and golf. The city ranked the safest big city in Colorado by CQ Press on the basis of the FBI’s crime statistics. It also ranked fourth of America’s 50 best cities to live in, according to USA Today. 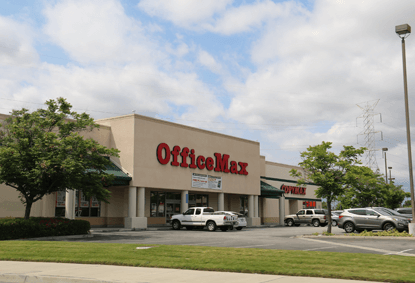 Located in the Los Angeles metro area, West Covina ranks first on our list. 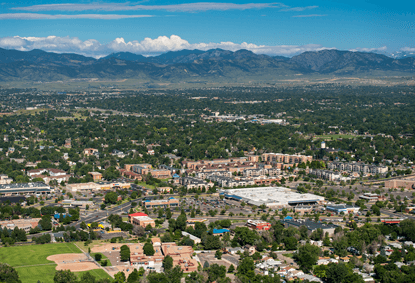 The city boasts stunning panoramic mountain views, extensive open space and a variety of events. The city ranks in the top quarter in this region on our list for safety, commuting, number of events, and the availability of restaurants, bars and hotels. As its name suggests, Huntington Beach is a beautiful coastal city in Orange County, California, which has been nicknamed “Surf City”. The city is known for its mild climate, excellent surfing and beach culture. It ranks sixth for its climate in this region. With a long 9.5 mile stretch of sandy beach, the city is not the overpriced seashore city one might imagine. 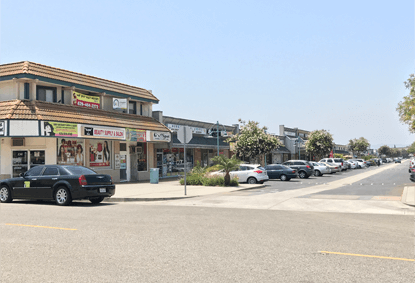 Although it is still much more expensive than many other cities in the U.S., in this region, Huntington Beach is actually the third most affordable midsize city. Home to the world’s oldest McDonald's’ restaurant, Downey ranks the third on our list. Downey is the tenth most affordable midsize city on our list with rankings in the top 25% for climate, the presence of restaurants, bars and hotels, and availability of events. The newly built Stonewood Center, with more than 170 shops including Macy’s and JCPenney, offers wonderful after-meeting shopping and entertainment experience. 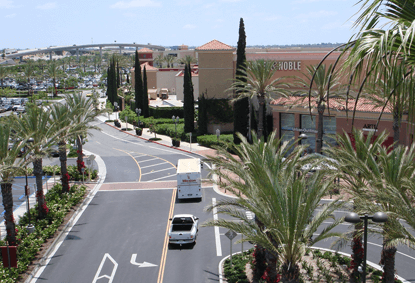 Irvine is another affluent city in Orange County, California. A number of corporations, particularly in the technology and semiconductor sectors have their national or international headquarters in Irvine. The Irvine Spectrum Center, complete with a ferris wheel and movie theater, offers a number of options for shopping and dining. 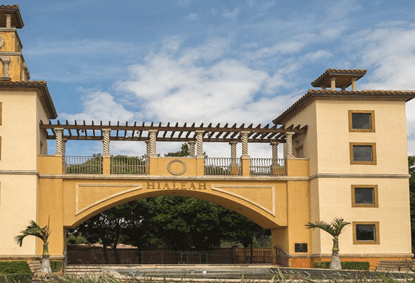 The Orange County Great Park hosts a weekly farmers market and outdoor movie nights, which are only a few among the many options available in Irvine for post-meeting events. Billed as the “Media Capital of the World”, Burbank ranks fifth on our list for the Pacific West region. 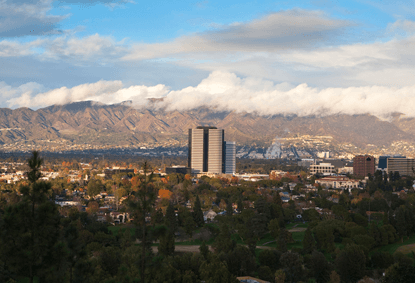 Located only a few miles northeast of Hollywood, numerous media and entertainment companies are headquartered, or have significant production facilities, in Burbank. And yet, the city is quiet and peaceful. Visitor will enjoy Burbank’s mild climate, boasting 286 sunny days in a year, which is about 30% more than the national average. 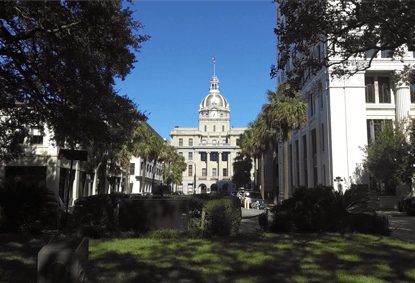 Savannah ranks first on our list on the strength of its status as the most affordable midsize city in this region, while also performing well on other metrics. Savannah is a beautiful coastal city with well-preserved historical heritage and laid-back Southern lifestyle. Hospitality and tourism industries significant drivers of the local economy, which will provide team members with an engaging business trip experience. Visitors can enjoy some of Savannah’s top sites, including the Wormsloe State Historic Site, the Cathedral of St. John the Baptist, and The Olde Pink House.. In addition to the charming sightseeing opportunities, Savannah will go easy on your budget thanks to its low cost of living, which is 14.1% lower than the US average. 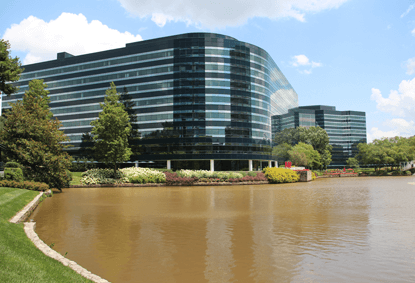 With a beautiful skyline composed of the Concourse office towers, Sandy Springs comes in second in the South Atlantic region. Sandy Springs is the second largest city in the metropolitan Atlanta area and the sixth largest city in the state of Georgia. It’s only a half hour’s drive from the exciting downtown scene of Atlanta. The city ranks among the top 10 for length of commute, safety, and the presence of restaurants, bars and hotels in this region. 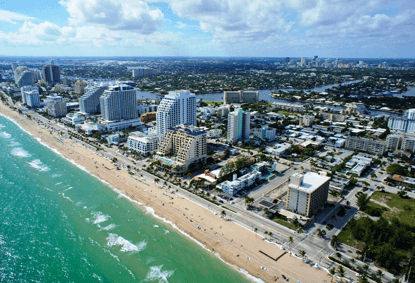 As a principal city of the Miami metropolitan area, with stunning beach view and downtown area skyline, Fort Lauderdale is certainly a more than adequate selection for hosting business meetings. The city has some of the most pleasant weather in this region, with an average year-round temperature of 75.5 °F and 3,000 hours of sunshine per year. The city also offers quite a few entertainment options, with 63 golf courses, 12 shopping malls, 16 museums and 132 nightclubs. Ranked 51st by U.S. News for the best places to live, Greensboro ranks fourth in the region according to our analysis. 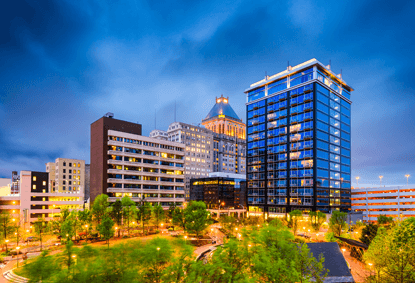 Nicknamed the “Gate City”, the city in proximity to all the major cities in North Carolina, making it a good choice for business meetings with partners across the state and region. It also offers a variety of arts, entertainment, recreation, shopping and dining opportunities for team members and clients. 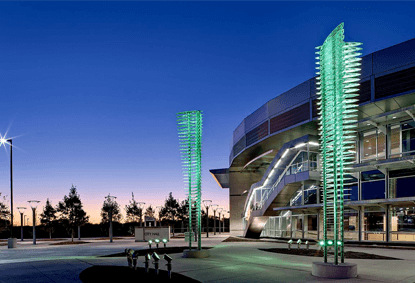 Irving has experienced rapid growth over the past fifty years, and is home to a multitude of attractions of all types, ranging from modern art to major sporting events. Irving is also the home to nearly 200 Fortune 500 Companies, such as Exxon Mobile, Nokia America and the American headquarters of BlackBerry. 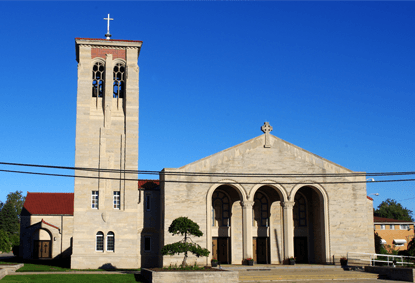 The city has much to offer, including the International Concert Series every summer, and the Irving Main Street Events in the fall. It is not only a cost-efficient business meeting destination, but also an exciting place to visit. 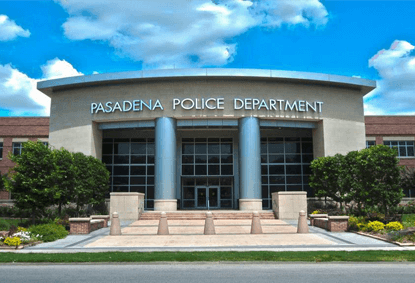 Located only 20 to 30 minutes by car from Houston, Pasadena is a suitable alternative for those who would rather not host a meeting or convention in nearby expensive Houston. The city’s cost of living is 14.7% lower than the U.S. average, and it is also a great place to visit. The city has a Philharmonic Orchestra and several museums within its borders. There are also several shopping malls and great restaurants and nightclubs available for your team while they’re are not occupied by official business functions. 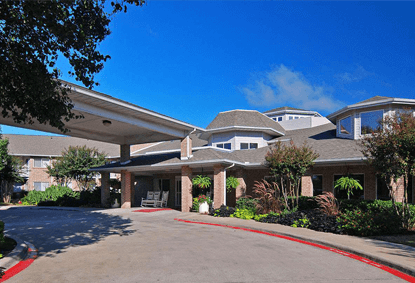 Richardson is a suburb of Dallas with a great business atmosphere. 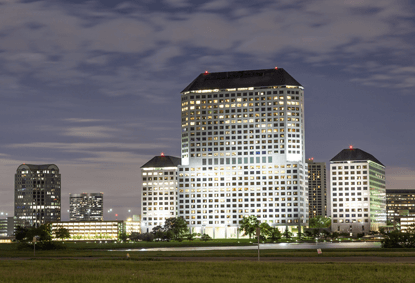 Situated in the Telecom Corridor, Richardson hosts more than 5,000 businesses including many of the world’s largest telecommunications/networking companies. The city is also known for being home to many businesses in the insurance industry. The city is home to the region’s most famous Chinatown, providing opportunities for shopping and dining after meetings. Mesquite, Texas, offers sunny weather, many local amenities and a high degree of affordability. As a result, it has rated highly on scales of liveability. The local cost of living is 11.5% lower than the U.S. average. Mesquite ranks among the top 10 in terms of the variety of activities the city has to offer, including plentiful dining options, bars and shopping. The city is also a friendly destination for various sporting activities. Baton Rouge, the capital of Louisiana, comes in at fifth on our list. 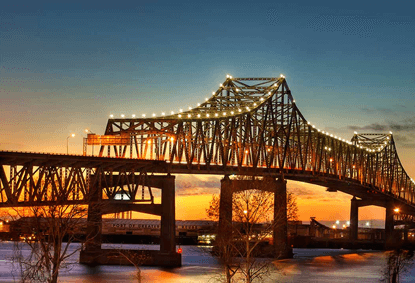 Baton Rouge is a major industrial, petrochemical, medical, research, motion picture, and in recent years, a growing technology center of the American South. The city is a culturally rich center settled by immigrants from numerous European and African nations. It is also the third most affordable midsize city in this region, which makes it a good choice for an inexpensive business trip. To help Americans discover which U.S. midsize cities are the most cost efficient meeting destinations in 2017, RewardExpert compared U.S. cities that have between 100,000 and 300,000 residents across seven key dimensions: affordability, safety, climate, commute, business atmosphere/economy development, events, the presence of restaurants, bars, hotels, and shopping locations. We first identified 20 relevant metrics, which are listed below with their corresponding weights. Each metric was given a value between 0 and 100, wherein 100 represents the most favorable conditions and 0 the least. Finally, we calculated the overall score for each city as a weighted average across all metrics, and then ranked cities accordingly. Prior to making our final selections, we applied filters to ensure that scores for cities that ranked very poorly on certain specific metrics were accordingly weighted down.